I want Halloween Kandee!! 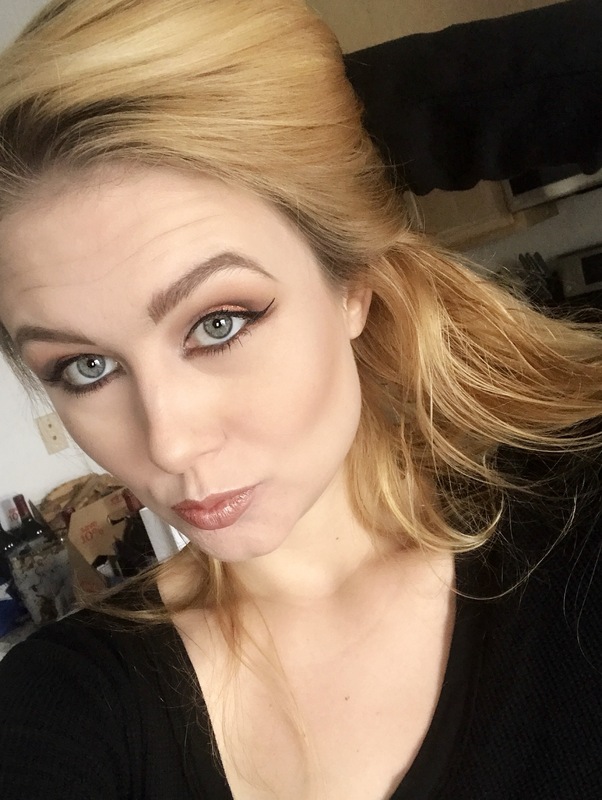 Too faced I want Kandee review and fall look! Video of Wild Swan Beauty looks & song! 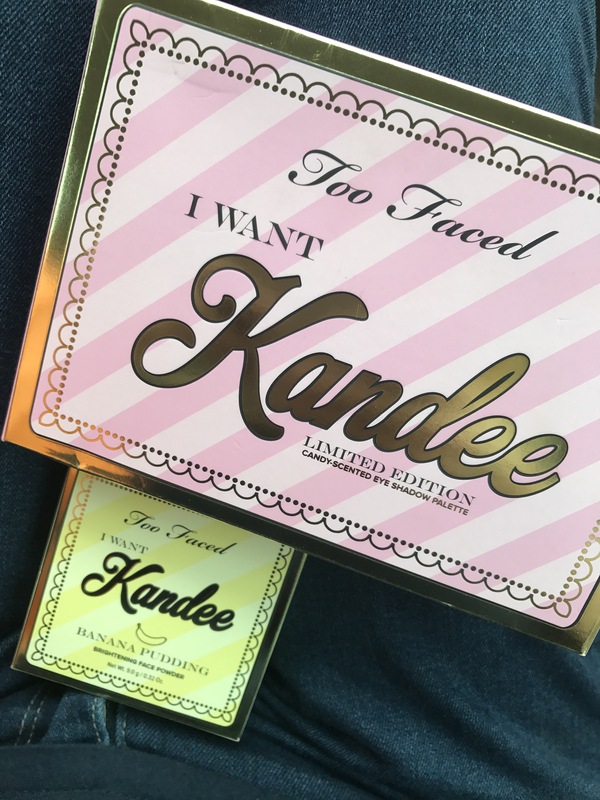 I knew I needed to get my hands on a few pieces from the yummy I want Kandee Too Faced collection ever since I first saw about it through Kandee Johnsons Instagram and I finally made a trip to Ulta yesterday to splurge! I was disappointed when I arrived at my local Ulta store to see no display for the collection (I was shocked since this is a huge exclusive to Ulta) and not only was there no I want Kandee display, but the products weren’t even out in the Too Faced section of the store. Maybe they were running low since this is limited edition? Maybe there were issues with theft? Maybe the limited addition run is nearing its end? I asked the sales associate if they had anything from the collection, since I called weeks prior and they said they had some and they got a few testers for me out of the back. I decided to buy the eyeshadow palette and banana powder-the two things I was most excited about. Upon swatching in the store, I thought the colors were super blend able, really nice texture, good pigmentation, lots of shimmer to the shimmery shades, and the smell is awesome, not overpowering at all, super sweet, kind of like sugar cookies or sprinkles! Also, there are some really really nice subtle shades. This palette is quite versatile. These products seem a little pricey. I think the palette is just shy of $50 and the banana powder is around $30 and of course these products are excluded from Ulta coupons (which is not unusual), but darn it, I really wanted to use my 20% off coupon! The packaging is so, so cute. 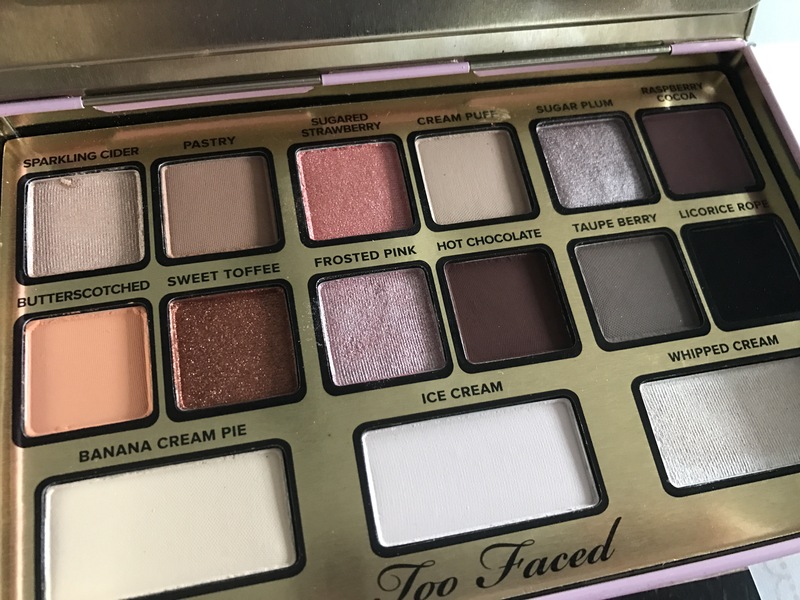 Really nice, heavy, and detailed and I love the thought of the eyeshadow palettes box being modeled after a box of truffles, having the truffle pictures on the back with the cute names of the different shades, like pastry and hot chocolate is a great touch. The whipped cream highlighter in this eye shadow palette is also stunning. So stunning that the only downside is that there isn’t more! I wish it were a permanent Too Faced highlighter! I can tell that I’ll be using it a lot. It completed my nose contour and made every thing pop! I love that the highlighter doesn’t pick up any weird colors. Just a moonlit, whipped cream glow! I’ve seen many videos of people trying out the I want Kandee palette and they all say there seems to be three different kind of looks in the palette. To me when looking at this palette though I really saw six different looks or sections with the possibility of using other colors from the palette for shading etc. 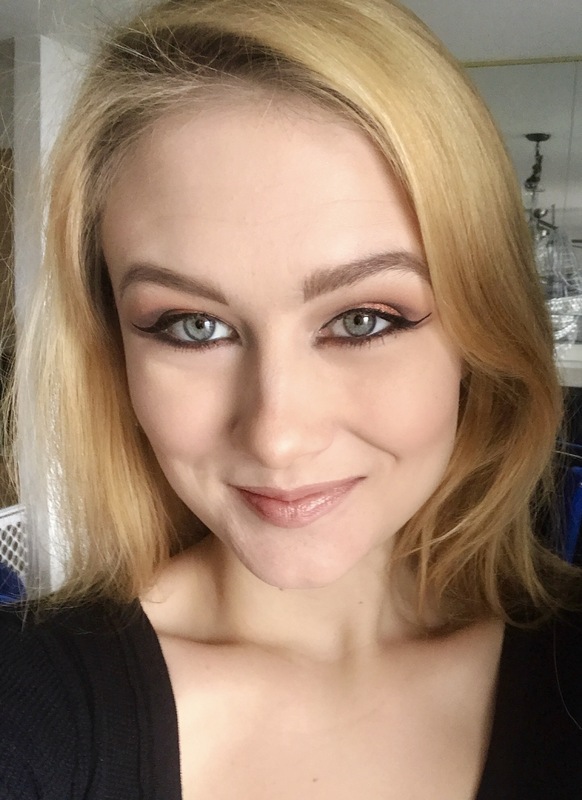 For my first look with this palette I was inspired by the fall season! I call my look “I WANT HALLOWEEN KANDEE”! I only used colors from the palette to create this look and used the Too Faced shadow insurance primer! I want Halloween Kandee IS much better.. The banana powder was also great! So great in fact that I wasn’t planning on reviewing it and decided to after using it. I had read very mixed reviews online and was surprised. I have been searching for a great banana powder for some time mostly to do my nose contour! Well, this is it! It also reduced the appearance of my under eye bags and acne on my chin. It also blended right in like magic. I used it to set my cheekbones as well. There is a faint faint banana cream smell to the color correcting powder. Overall, after first use, I’m quite impressed with what I purchased from the I Want Kandee collection! 🙂 It’s so fun, so cute!